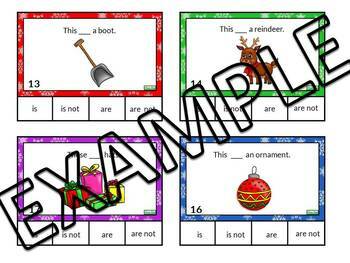 Winter task cards designed for elementary cycle 1 & 2 students to practice the verb To Be in positive and negative form. Student reads the sentence and circle with a dry erase marker the correct answer at the bottom. You can also use clothespins instead of markers.